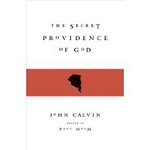 Those who visit Helm's Deep may be interested in this short book, Calvin, A Guide for the Perplexed, (a nicely ambiguous title, don't you think? ), to be published later this year by T & T Clark. It is intended to be an introduction to Calvin's theology, with (where appropriate) a philosophical flavour. With the agreement of the publisher I hope to post three or four shortish sections from a draft of the book between now and its publication. The first of these will appear next month. So Jonathan (Edwards) , a paper on whose views of the Trinity was previously announced, will have to wait in the queue until John (Calvin) has had his say. This month, March, the second of three Analyses on views of divine sovereignty, 'Twisse's Twist', is published. The third, 'Owen's Option', will be published next month. In addition, a paper celebrating the 50th birthday of J.I.Packer's 'Fundamentalism' and the Word of God is now posted. Incidentally, if you have the need of a translation of the Institutes, then the reissue of the Beveridge translation (newly published by Hendrickson) may be just the thing. It has new indexes, and has been 'gently edited', which means, I hope, only the removal of typos and other detritus. (I have not yet had the chance to check). Beveridge is superior to Battles in sticking closer to the original Latin, and having less intrusive editorial paraphernalia. It is a great pleasure for me personally to celebrate this book, for reasons that will become clear. Until Joy Horn mentioned it, I’d clean forgotten that 2008 is the book’s half-century. It was published early in 1958. Shortly before then I had made a profession of faith, and in 1959 I was due to go to Oxford. It appeared at an opportune time. Published as an unpretentious paperback, with a sticky cover, at the price of 4s 6p, or 22.5 pence, or about 45 US cents, I quickly devoured its 80,000 or so words. I believe that it fortified me for what lay ahead, and also acted as something of a model for how one should write about Christianity, and especially how to write about Christian doctrine. A model that it has proved hard to follow. According to Alister McGrath, publishing the book brought Jim Packer into the mainstream from what before then had been a distinctively if not exclusively Puritan and Reformed tendency – the Puritan Conference, and the article ‘Keswick and the Reformed Doctrine of Sanctification’. (Alister McGrath, To Know and Serve God: A Biography of James I Packer, (London, Hodder & Stoughton, 1997, Ch. 6)) That article, published in the Evangelical Quarterly in 1955, which evidently quickly created a furore, is one which if Packer has not subsequently disowned he has certainly downplayed. It does not appear, for example, in any of the four volumes of his collected writings, and references to it are hard to find, though it was reprinted by John Doggett in the Free Grace Record some years later. Perhaps the author thinks that as the ‘Keswick’ doctrine of sanctification is dormant the article may also sleep. But I’m not sure about this claim of McGrath’s, and I shall return to it. Of course the inspiration and authority of Scripture is a mark of evangelicalism as this term is now routinely understood; indeed, to some minds, it is the highest common denominator, uniting evangelicalism as no other doctrine does. But if we take a little time to study the way in which Packer articulates his understanding of Scripture, and where he places the stress in his exposition, then we shall hear the voice of a distinctly Reformed theologian. He, I do not doubt, regards it as all of a piece with the work he did even earlier. So although the book was an ‘occasional’ work, called forth by a particular set of circumstances, it was more than a response to these circumstances. The author replied to the critics of Billy Graham in good measure, setting out in a clear, forceful, gentlemanly, good-natured way the classic Reformed doctrine of the authority and inspiration of Holy Scripture. He took the opportunity to offer ‘a constructive re-statement of evangelical principles’ (Foreword) and so to remind evangelicals especially in the UK (whom he perhaps feared were on the slippery slope to fundamentalism proper) what it was they believed even if they were not completely aware of the fact. So it is, that after the two chapters spent on analysing and sifting ‘fundamentalism’, the book becomes a book of principles, and its author begins at the beginning, with the principle of authority, and with how given different starting points one naturally gets different theologies, those of subjectivism and traditionalism, which in Packer’s view sit on either side of evangelicalism. It should be borne in mind, in view of later developments, that the author all the time is here dealing with ideas and their interconnectedness, not with people or movements in the church. As we shall see, the sharpness and exclusiveness with which he delineates rival systems of religious authority do not automatically translate into sharpness of personal attitude to the people who adhere to them. For the author, distancing oneself from inadequate understanding of the inspiration and authority of Scripture does not mean in all circumstances distancing oneself from those who have these misunderstandings. In the course of the analysis of Christian authority, the first of his evangelical principles, Packer begins to disclose his theological colours. His basic principle is that a Christian doctrine of something is to be identical with Christ’s (and the apostles’) doctrine of it. Packer develops this not only in terms of Christ’s and the Apostles’ teaching, (Ch.3) but also of Scripture’s account of itself. And so it is that the evangelical method, in comparison to the method of the Christian subjectivist or traditionalist, is the most consistently Christian. He is careful to note that the evangelical account of Christian authority is not merely a stick to beat others with, it is one which, naturally enough, evangelicals themselves are subject to. (70f.) Those who teach others not to steal should not themselves steal. Earlier I said that in the book Packer reveals himself not only as a defender of evangelicalism, but as a distinctively Reformed defender of it. This becomes clear in the course of developing these matters at some length. I shall begin by briefly noting three of these features. Others will follow. He also has sharp things to say about the ecumenical practice of papering over the cracks in the interests of peace and unity. These last words make it easy to see how the doctrine of the authority of Scripture formed and fed one main trajectory of Packer’s subsequent theological career; other books, (such as God Has Spoken (1965, 1979) other papers, (Volume 3 of his Collected Shorter Writings contains 22 of these), and public statements such as the Chicago Statement on Biblical Inerrancy (1978).) These filled out Packer’s articulation of the doctrine of the inspiration and authority of Scripture and of the hermeneutics implied by it. This last point, that the Scripture is objectively true whether we like it or not, is particularly important in a culture which is increasingly subjectivist, and so it is worth quoting what the author says.. I believe that these words, and the section of the book from which they are drawn, must have been overlooked by many of Packer’s subsequent critics, at least those who have accused him of inconsistency. They also give us reason for thinking that Alister McGrath is somewhat mistaken in seeing the writing and publication of ‘Fundamentalism’ and the Word of God as the ‘coming out’ of Packer into the evangelical mainstream (as opposed to paddling along the Puritan and Reformed creek). Packer always saw himself as being in the evangelical mainstream, indeed as being in the Anglican mainstream. If the views that he expresses here had been kept in mind, then what happened subsequently, when there was a parting of the ways regarding the Puritan Conference and a questioning Packer’s bona fides as an organiser of and participant in the Conferences, events that have been subsequently long pored over, their interpretation passionately contested, would not have come as a great surprise. Packer’s argument is this: Christians, those united to Christ and regenerated by his Spirit, may nonetheless be in mental error, even serious mental error. Nevertheless, Packer say, a person may be a Christian still. A person may be regenerate yet due to mental error he may deny the inspiration and authority of Holy Scripture in theory though not in practice, or not altogether in practice. As a result of the regenerating work of the Spirit his practice is better than his theory. If this is so, and if I am in a church in which such people are present, present even in influential positions, I may not separate from them, and I may even have a duty not to separate from them. This seems to be Packer’s argument. The counter-argument is: those who in responsible teaching positions in a Christian Church deny the fundamental doctrine of the authority and inspiration of Holy Scripture, may be separated from, or must be separated from, even if separating from them requires me to separate from that church. It has been said that around 1965 there was a ‘shift in the thinking’ of Packer and others regarding their position in the Church of England, (Iain H. Murray, Evangelicalism Divided, Banner of Truth, 2000, 88. ) The available evidence for such a change is not persuasive. If we make a distinction between strategy and tactics, then Packer’s strategy of remaining in the Church of England as a loyal member was based, among other things, upon his theology of regeneration and mental error, a doctrine which, incidentally, he shared with favourites of his such as John Owen and Jonathan Edwards. His tactics may have changed, of course, as he came to hold a position of influence in the Church of England and as the issue of Anglican-Methodist unity loomed, and as he sought to deploy his influence in these talks and other related issues to what he believed was the maximum effect. And the book ends with a rallying cry from Machen, ‘Let us not fear the opposition of men…Of course the gospel of Christ, in a world of sin and doubt, will cause disputing…..Conventions have been broken down; men are trying to penetrate beneath pious words to the thing that these words designate….God grant that great questions of principle may never rest until they are settled right!’ (177, quoted from Machen’s What is Faith?) But Machen was, of course, a secessionist par excellence, plotting a course that eventally forced him out of his church. It became clear, and should have been clear from the start, that Packer was not tarred with the same brush. Naturally, it is not my purpose here to try to arbitrate between these views of what happened some time after the publication of the book we are celebrating but simply to note that Packer’s position later on is consistent with his view in the 1950’s. He cannot be accused of inconsistency, nor of shifting his position over time, say over the Anglican-Methodist talks in which he sided with Anglo-Catholics in the Church of England, in Growing into Union and elsewhere. Though no doubt, as with us all, unfolding events which it is impossible to anticipate mould the particular ways in which our views are shaped and the occasions on which they are given expression. However, even with all this in mind, I rather doubt that in 1958 Packer could have envisaged the sort of cooperation with some Roman Catholic friends that he now advocates. 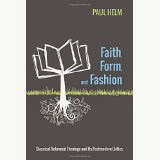 The chapter on faith is one of two on how the doctrine of Holy Scripture is, and is to be appropriated in the Christian church. The other chapter is on reason. Let us turn to that, in which Packer continues to handle the question of how the one authoritative Word of God is to be received, but as one who is also aware of the charge of anti-intellectualism that had been raised against so-called ‘fundamentalists’ in the UK. There is a sense in which for the author this is the heart of the matter; the criticism, if true would be ‘damning’. (127) ‘All truth is God’s truth; facts, as such, are sacred, and nothing is more un-Christian than to run away from them’. (127) Packer’s response is to return the compliment of anti-intellectualism to the critics. It is they who have ‘failed to meet the claims of Christian reason’. (127) The reason of a Christian man is to be employed in the service of his faith. But what if reason and faith clash? For Packer this is a rather unfortunately phrased question. Reason and faith clash not as a result of the operation of ‘pure’ reason, but when some way is sought of allying faith and secular reasoning, or more strongly, of bringing faith into line with secular reasoning. The human mind has been affected by sin – indeed sin has its root in the mind – and always wanting the last word, as we do, is not merely an intellectual mistake but a moral lapse. Reason must, then, be freed by Christ. (143). Packer here reveals himself as being in the Augustinian ‘Faith Seeking Understanding’ tradition. The book’s last chapter, in which Packer returns to the issue of theological liberalism and its true character, is dated in its details but not in its main thrust, looking once more at the nature of the controversy which led Packer to write his book. Some, I know, are glad that this book was followed by Knowing God, Keep in Step with the Spirit and the like. For my part, I prefer the Packer of Evangelism and the Sovereignty of God, ‘”Keswick” and the Reformed Doctrine of Sanctification’ (1955), ‘What did the Cross Achieve? The Logic of Penal Substitution’ (1974), and his ‘Introductory Essay’ to John Owen’s The Death of Death (1959). Above all, I prefer the Packer of ‘Fundamentalism’ and the Word of God. I hope that you’ll join with me in celebrating its 50th birthday.